As the calendar year draws to yet another close, I'm reminded why my camera accompanies me at my side through our travels. 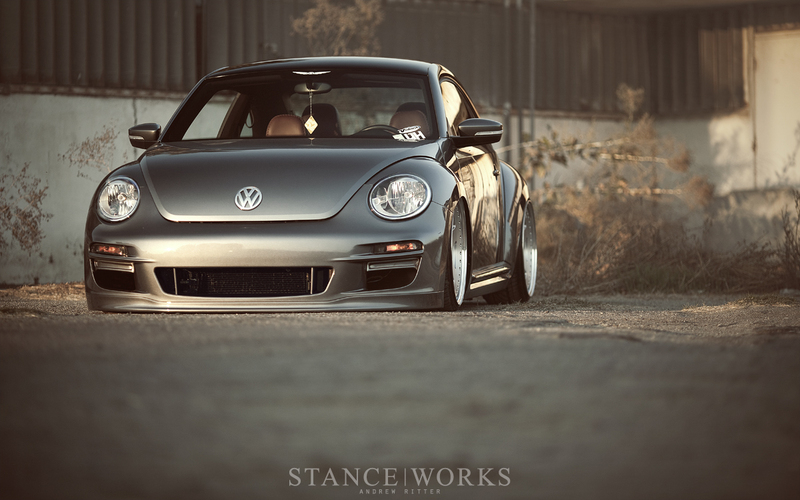 It's always such a pleasure to look back through the hard drives and articles that chronicle the StanceWorks adventures. This year took me and Mike around the country and across the Atlantic, searching for the cars that excite our imaginations. With each shutter actuation, we capture a moment and file it away among tens of thousands of other moments. From race track rivalries and unique car discoveries to the afternoons spent at photo shoots, standing around on the side of the road with fellow car enthusiasts, we documented the year with a look behind the passion and drive that fuel this automotive world. While it's not an official precursor, I always feel like the 'season' starts here in the month of March as the streets of Long Beach spring to life under the roar of ALMS competition and the howl of Formula Drift. While we're fortunate enough to spend our winters under sunny skies with the occasional car event, these weeks of Long Beach motorsports are the first burst of energy that gives way to the long slew of photo shoots that fill our summers. 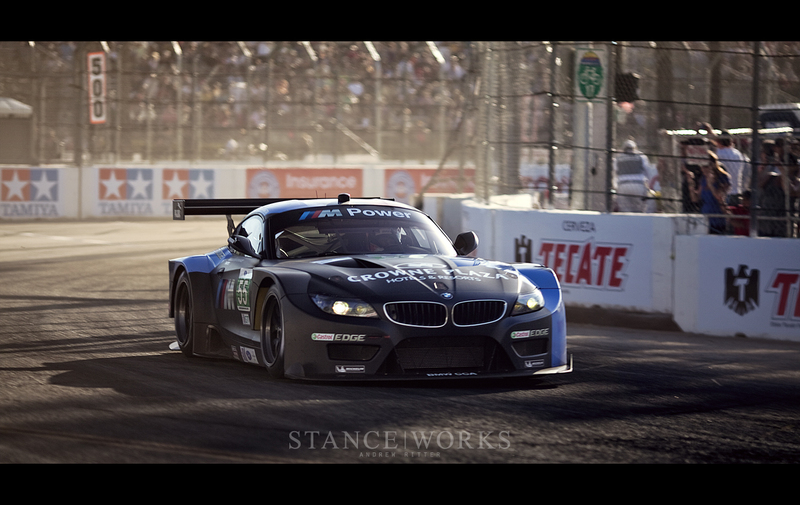 This year's Long Beach Grand Prix was our first chance to see the new BMW Z4 GTEs in competition and it was a performance that left us cheering. Taking first and second place in the GT class of ALMS, the Z4 GTE made a big impression on us and left us excited to spend another season with BMW and Team RLL. Whenever I get a chance to shoot one of Adam Woodham's builds, I know I'm in for a day filled with details and stories. Adam, of Adam's Rotors, puts careful thought into everything he does and it shines through when you begin to explore it with your camera. 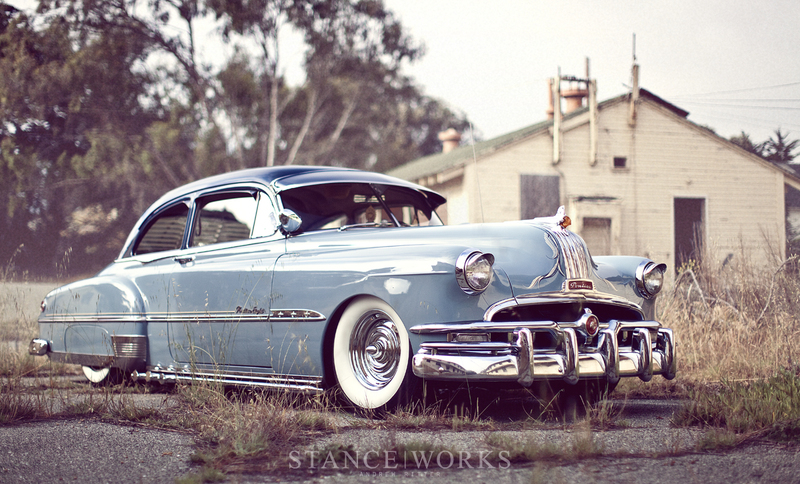 The photo shoot of his Pontiac Chieftan went down as one of my favorite shoots this year. We pulled the car into Fort Ord, an old military base frozen in time, under the cloudy morning skies of Monterey. It was the perfect scenery for such a period correct blending of Kustom and Lowrider Bomb ideologies. Adam and I chatted about his build as my camera snapped away through abandoned buildings and overgrown pavement. Sometimes you need to challenge yourself to avoid the ruts and monotony that can spawn from repetition and comfort. With the number of shoots that we plan each year, we've learned to be efficient with them. We have preferred times of the day under which to shoot, we plan out the locations and backdrops, and we capture the shots that are needed for each project in a timely fashion. 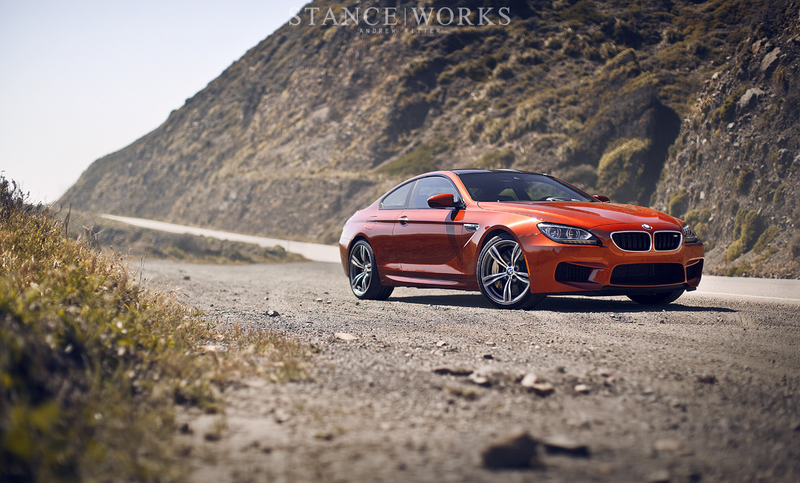 As I navigated the California coast in a BMW M6, I decided to challenge my own photographic comfort. Without a plan or schedule, I set off on a journey down the Pacific Coast Highway and I photographed the whole journey. The sun traversed the sky, changing the light as the backdrops changed with each mile that ticked on the odometer. With each unique photo setting, I documented the journey and chronicled the freedom of the open road. JJ Larson's Audi Avant is one that I've watched evolve with time under various shades of paintwork. The most recent colorway is my favorite step in its evolutionary trail. The deep red paint sitting over chrome Rotiforms was one that gave a nod to the old Euro styling that I've always loved. These photo shoots are a great excuse to stand around in parking lots and catch up with old friends and this time was no different. The opportunity to dive into BMW's vintage race collection was a dream come true. We filled a day shooting the cars that made up their collection with each one offering it's own rich history of motorsport competition. 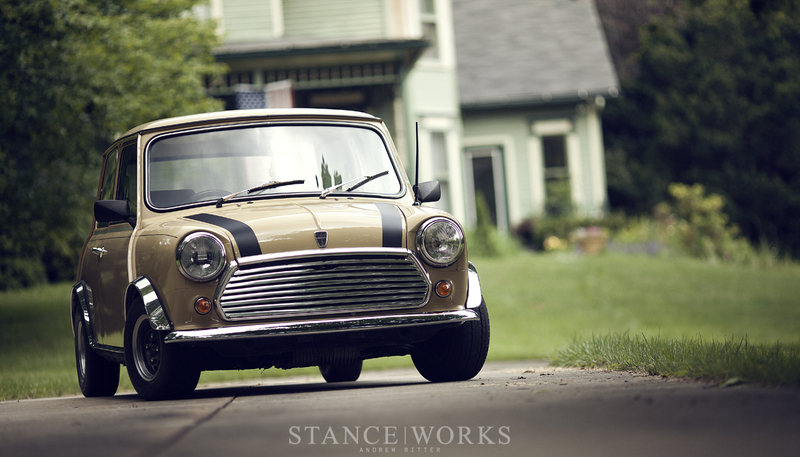 As the day wound down, I wheeled the little 2002 out for its moment in front of the camera. 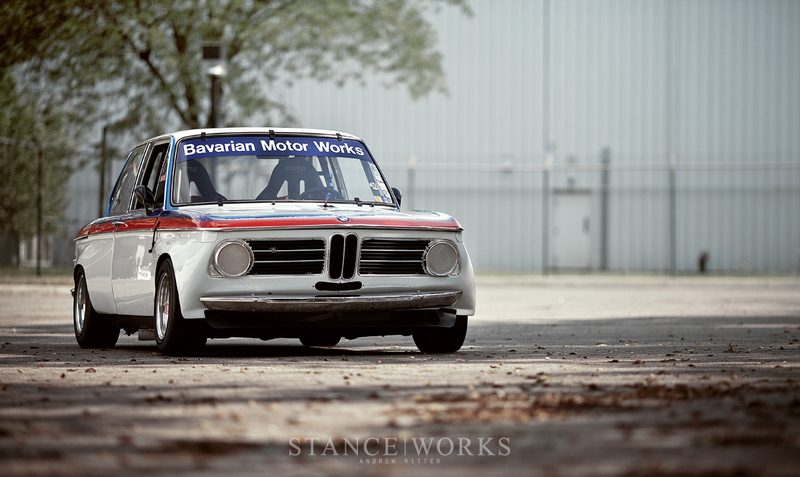 As the car that really started it all, it seemed fitting to shine a spotlight on the BMW 2002. 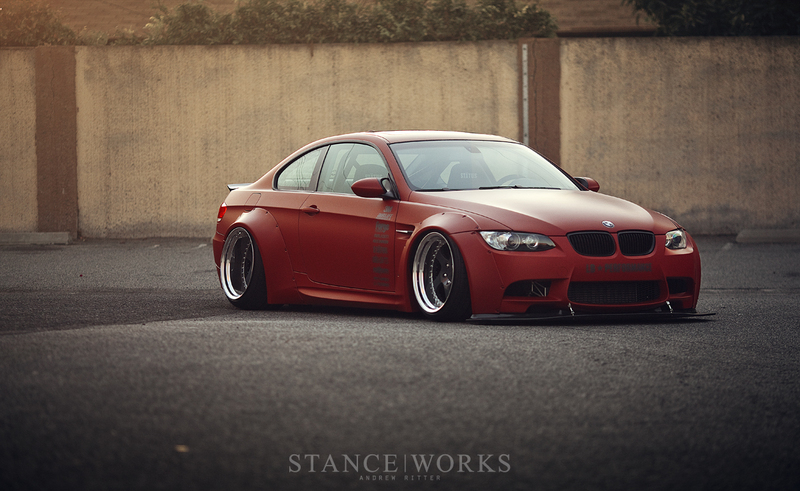 There's no doubt that 2013 will go down as the year that Liberty Walk really hit the 'scene'. We had already shot the Liberty Walk bagged Lamborghini the year prior, but when Rotiform contacted us about shooting the Liberty Walk BMW M3, we jumped at the chance. Amidst the shipping container mazes, we took in the wild curves and extreme width of the new flares that would soon envelope the car world. Sometimes you drive out to a shoot without knowing where you'll be setting up and what look you'll be going for. Many times this leads to a stressful rush to find a proper backdrop before you lose your ideal light. Usually you scour the area nitpicking each alleyway and bridge underpass, but this time luck was on our side. A rundown old farm greeted us as we neared the owner's home and the sun lit the scene just right; it would be the perfect location to show off the gray and brown palette of the Newing/Alpil Beetle. This article marked a personal milestone for me. I returned to my home state of Ohio to photograph the Mid-Ohio Vintage Grand Prix, one of the events that played a large part in my love for cars. That race was also the first place where I fell in love with the Mini Marque so it was fitting that I returned once more on a trip to pick up my new 1974 Austin Mini. The car has already brought me a lot of joy through 2013 and I'm eager to begin wrenching on it through 2014. Pebble Beach Concours d'Elegance is one of those highly renowned events that seems to exist high on a pedestal, beyond our reach. I never imagined that I'd be joining the suited spectators and the vigilant judges for a morning spent with some of the top cars in the world. 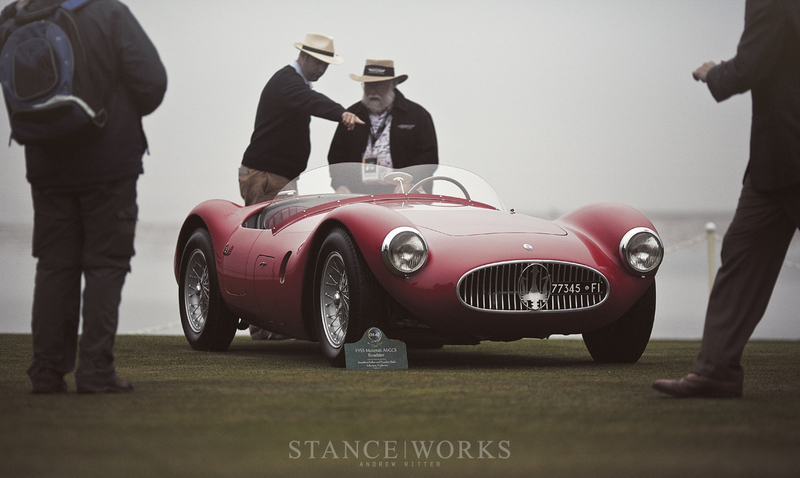 Under a blanket of fog, we wandered around in amazement, taking in all of the fine details and impressive cars that found their way onto the greens. It was a great addition to our yearly Monterey trip and I look forward to adding it to our annual plans. Our trip to Road Atlanta was bittersweet. 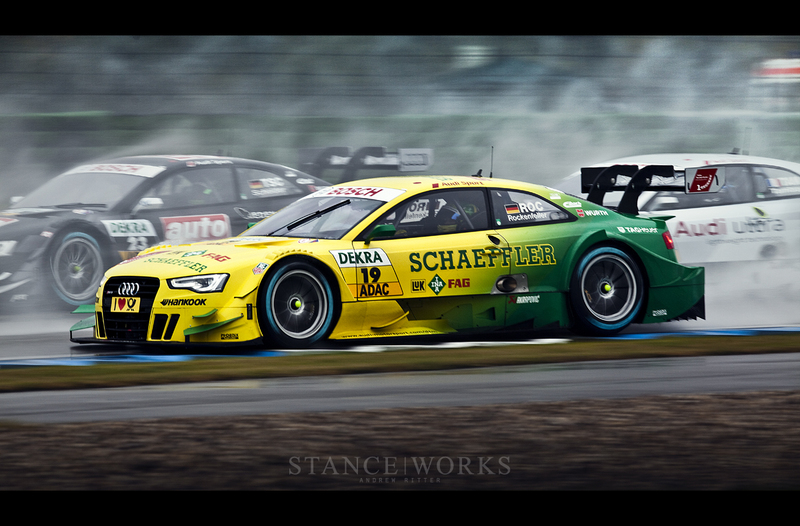 Once again, we joined our friends at BMW and Team RLL for another ALMS race, but sadly it also marked the last race of the Series. Scheduled for merger in 2014, the ALMS series came to an end under the checkered flag of Road Atlanta's Petit LeMans. 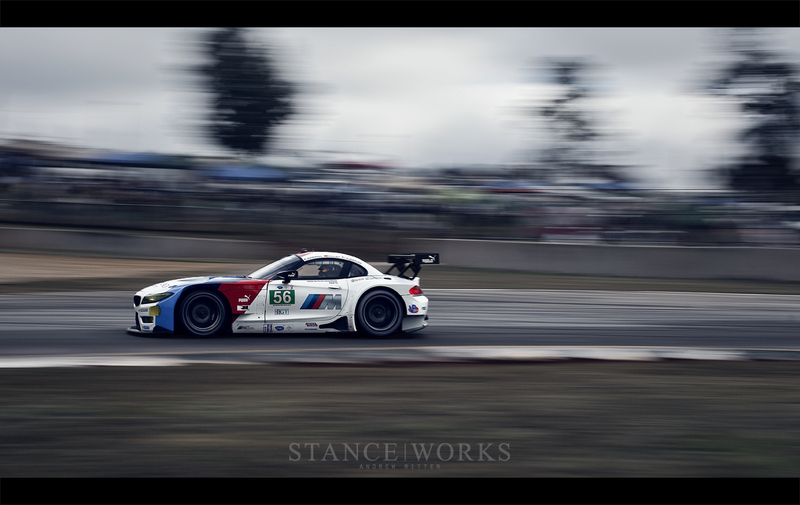 Mike and I were there to capture the BMW Z4s as they fought it out in their last ALMS showing. I've said it before, but it's truly a joy to watch your friends and partners work together on a build with such impressive results. 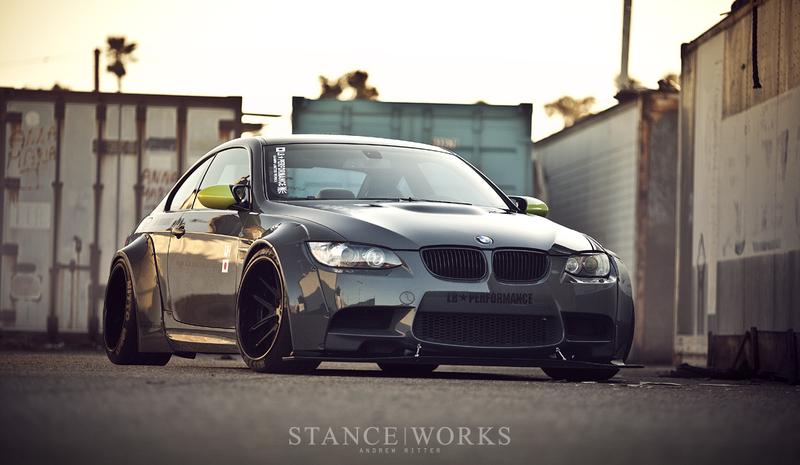 This time, the gentlemen at Bag Riders worked hard to build a Liberty Walk BMW 335 for this year's SEMA. Enlisting help from our friends at Rotiform Wheels and Airlift Performance, they were able to build a truly impressive display car that stood out in the halls of Las Vegas. Mike and I were pressed with time as we rushed to shoot the car before the sun set and the SEMA deadline closed in on us. It was a fun shoot filled with running and hurrying, but it reminded me why I enjoy working with Mike so much. We've become a great team over the years and it shows in shoots like this. I wrap up my yearly review with my favorite annual event, the Rolex Monterey Motorsport Reunion. Each year we get a chance to shoot the cars that hold special places in our heart as the legends of years past. From Porsche 935s and 962s to open wheel Cooper T59s, the classics roll out once more to tackle Laguna Seca. 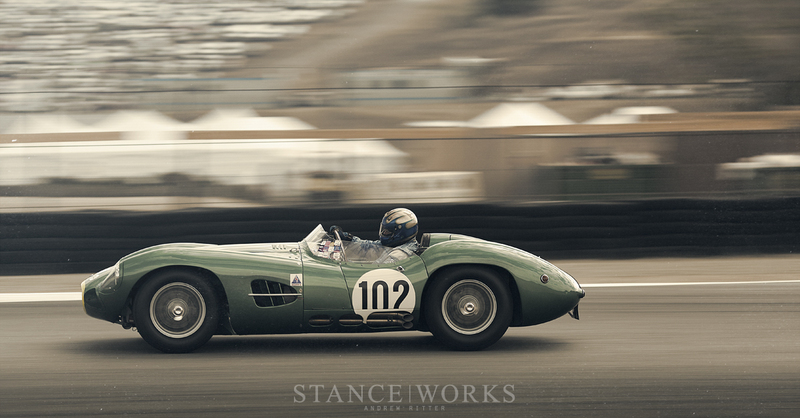 I'm sure 2014 will bring another journey up to Monterey Bay for another week of classic cars, and I can't wait. I welcome next year with open arms. I can't wait to see what it has for in store for us. Liberty Walk Performance swung hard this year. I cant wait to see what the have in store for 2014! Wow, i must say, great great work man, keep them rollin, cheers.